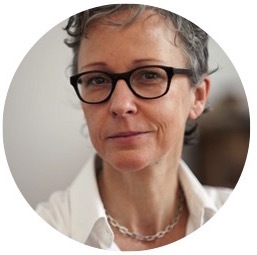 Katelijne de Backer has over 20 years of art world experience and joined PULSE as Director in July. Katelijne was recently the Director of Art New York and Aqua Art Miami. Prior to that she served as Managing Director of top contemporary art gallery Lehmann Maupin. She spent over a decade as the Executive Director of The Armory Show, where she was instrumental in transforming the bohemian-style fair of 75 galleries to a world-renowned exhibition of more than 200 galleries. Earlier, Katelijne produced alternative music programs for MTV. She is a native of Antwerp, Belgium and obtained her Master’s Degree in Sociology from the Free University of Brussels. Lisa Corrin is the Ellen Philips Katz Director of The Mary and Leigh Block Museum of Art at Northwestern University. Her previous positions include Director, Williams College Museum of Art, Deputy Director of Art/Curator of Modern and Contemporary Art at the Seattle Art Museum, where she was the artistic lead for its new waterfront Olympic Sculpture Park, Chief Curator at the Serpentine Gallery in London, and Assistant Director/Curator of The Contemporary in Baltimore. She has published widely on contemporary art, public art, and critical museology. Her book Mining the Museum: An Installation by Fred Wilson was given the George Wittenborn Award by the North America Libraries Association in 1994. She has written extensively on Mark Dion’s work including contributing to Phaidon’s monograph on the artist. Most recently she was co-curator of A Feast of Astonishments: Charlotte Moorman and the Avant-Garde, 1960s–1980s. Lisa is also an affiliate member of Northwestern’s Department of Art History. Madhuvanti Ghose (PhD, University of London) is the Alsdorf Associate Curator of Indian, Southeast Asian, Himalayan, and Islamic Art at the Art Institute of Chicago. She launched the Alsdorf Galleries of Indian, Southeast Asian, Himalayan, and Islamic Art in 2008 and has since curated several exhibitions at the Art Institute, including the site-specific Public Notice 3 (2010–11) by Jitish Kallat, Gates of the Lord: The Tradition of Krishna Paintings (2015–2016) and Vanishing Beauty: Asian Jewelry and Ritual Objects from the Barbara and David Kipper Collection (2016). Madhu’s current exhibition, India Modern: The Paintings of M.F. Husain opened to the public on 14 July 2017. Since 2014, Judith Pineiro has been the Executive Director of the Association of Art Museum Curators & AAMC Foundation. Other senior level roles include being an External Affairs Consultant for clients such as Art in General, The Laundromat Project, and Louise Blouin Media; Director, Affordable Art Fair U.S.; Associate Development Director for Institutional Advancement, Museum of Arts & Design; Account Manager for Museum Services, Christie’s; and positions galleries in New York and Los Angeles. She is a Board Member at the New York Artists Equity Association. Recent and upcoming speaking engagements include the Association of African American Museums Conference and the Museum Computer Network Conference. She has served as a juror for the National Arts Education Association Member Exhibition, visual arts re-grant panelist at the Brooklyn Arts Council and as a member of the Professional Development Committee and Membership Committee at ArtTable. Judith received an M.A. in Art History from Rutgers University.